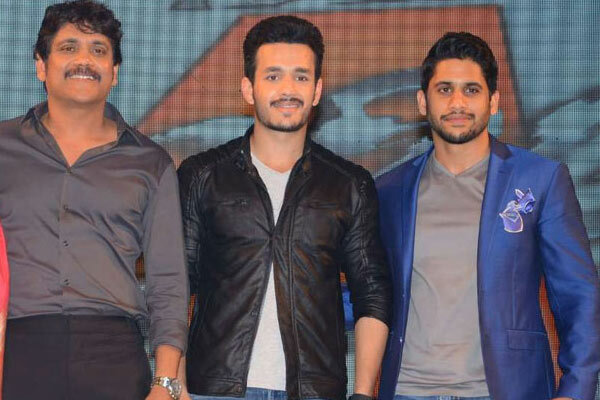 During Mr Majnu pre release function Akhil revealed that his dad Nagarjuna asked him to learn how to impress masses from Young Tiger NTR. He confessed that it was very difficult to learn from NTR. After Mr Majnu’s result, he might have realized it in a hard way how difficult it is to entertain masses. Not many can endear themselves to masses. Soft films like Mr Majnu get very less openings and only if they get huge positive talk, it is difficult to continue in theatres. This is in contrast to routine mass entertainers like Vinaya Vidheya Rama which get collections even before the negative talk spreads like wild fire. When Chiranjeevi, Balakrishna, Nagarjuna and Venkatesh ruled the industry as four pillars, the records race and box office fight used to be mainly between Mega Star Chiranjeevi and Natasimha Balakrishna. Both used to have tough competition at the BO while Venkatesh used to score hits with family entertainers and Nagarjuna used to entertain with romantic flicks. For some reason though Nag tried to attract with mass entertainers, he failed to score hits. Now generation changed and mega family caught the pulse of masses. Ram Charan and Allu Arjun are entertaining both mass and class movie lovers. NTR and Balakrishna are doing so in Nandamuri family. Daggubati family has Rana who is expanding his horizons doing different roles across languages though he has mass following. Left alone is Akkineni family. Nag couldn't score a mass hits during his hay days and his son Naga Chaitanya tasted the bitter pill when his quest for mass hits failed at the box office. Akhil realized the same and decided to do romantic entertainers which suit his personality.